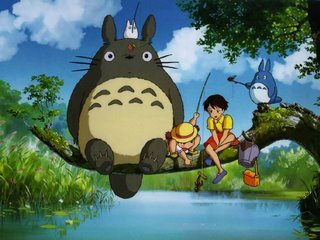 VNOG Blog: Save Totoro Forest! A few of the artists at Pixar have started a fund-raising effort to help the Totoro Forest Foundation, a national trust set up by director Hayao Miyazaki to preserve Sayama Forest, which was his inspiration for the film My Neighbor Totoro. Many renowned artists from Pixar and elsewhere have contributed original art to be auctioned for this cause. You can learn more about the auction (which will take place at Pixar in September) and the cause here. Be sure to check out the gallery to see all of the amazing Totoro-inspired artwork. If you can't participate in the auction, there will be a book of the art for sale, and there are other ways you can contribute as well. Do it for the kids! Wow some of that art is just amazing. The movie too is a master piece as well, so it's a great cause. Is all of the art on the website just Pixar artists, or is it Pixar and etc. artists? The artists are not limited to Pixar, though there are quite a few of us in there! Animatronic WALL-E spotted in L.A.